GS marked cards with luminous ink contact lenses are high-tech products, the comfort and definition is advanced than any other similar poker card cheating device in the market. 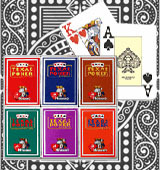 Here are the thumbs up marked playing cards for sale. 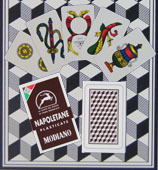 MODIANO playing cards can be marked and you can choose what kind of mark you want, all kinds of marks are available. 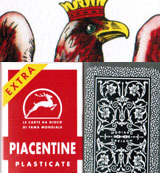 We can produce the cheating cards according to customer requirements of various brands, such as large print, four small corners, or a variety of patterns. Infrared marked cards, or here we say marked playing cards, the most common perception is can be seen by invisible ink pen contact lenses. 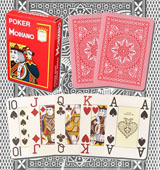 Many people think that the poker cards are just marked with luminous ink kit for marking cards, and use the poker magic trick device to detect them, like marked cards contact lenses or glasses that see invisible ink. 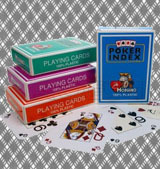 However, it can be classified into 3 kinds, poker contact lenses marked cards, infrared camera marked cards, phone analyzer barcode marked playing cards, also the marks can be made for cheating cards lenses, infrared camera and scanner system.